It’s getting to that time of year again when you start to reflect on the last 12 months. It was no exception at this month’s Red Tent on Tuesday. For those unfamiliar, Red Tent is a women’s gathering on or around the New Moon. It’s all built around empowering women and tapping into your divine feminine. It’s a bit tongue in cheek, but I tend to refer to it as “women’s institute for hippy’s”. But that’s doing it a disservice really. Historically, I’ve not exactly been a fan of reflecting on the year gone by. I even have history of being asked to do this in a work situation and getting up and walking out the room in tears. The year in question I didn’t feel like I had achieved anything due to circumstances out of my control. And this year? Well this year, you’re expecting me to reflect on a year which quite frankly brought the worst thing that’s ever happened to me. 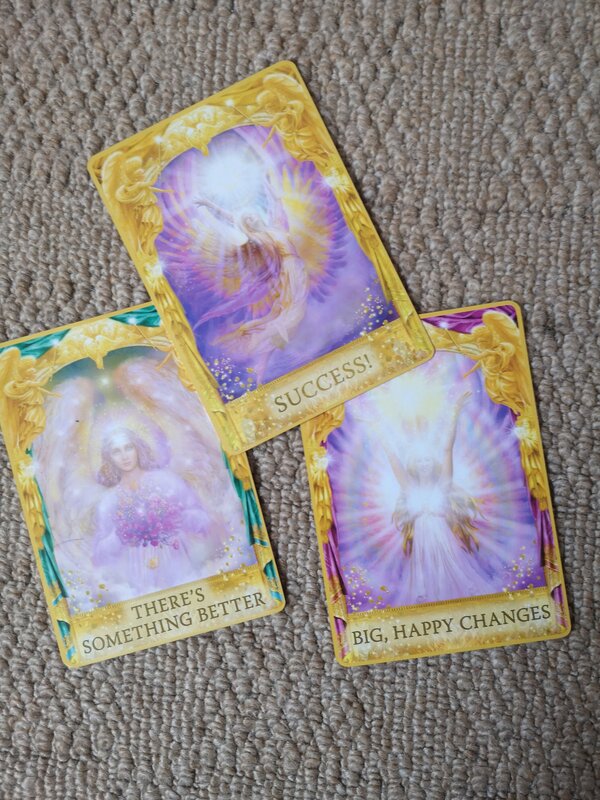 In true sharing circle style, we pulled a couple of oracle cards to help guide our conversation. For the first time, I wasn’t sure if the cards I chose particularly resonated with me, but when speaking about my reflections of the year I found myself launching into an impassioned and unexpected speech about my year. I’m not going to lie; I found myself fighting back tears at the end. When I was told that I might have you, I was broken open. You were most definitely an unwelcome guest that sneaked up on me. I say sneaked up, but you had been giving me clues for years that no-one had been able to solve, hadn’t you? They blamed you on all sorts of things. I did too. But then you took my sight for a few weeks, and the mystery was finally solved. We started the year together, on 25th January. It was bittersweet becoming acquainted with you. It was a relief to finally understand all the funny things that weren’t quite right with me, but it wasn’t a welcome explanation. They say that having something bad happen in your life is the thing that changes you. You’ve done that to me. I’m still changing. Working out how I am with you always lurking behind me. You have changed me for the better though and I want to say “Thanks” for those things. 1. I’m less tough on myself now. I always used to give myself unachievable goals and was forever setting myself up for failure. I don’t do that anymore. 2. You gave me a reason to write. I love writing and I’ve tried plenty of times to have a blog. I don’t really have the imagination to write fiction, but you gave my blog an identity. 3. You have not only helped me realise what amazing friends I have, you have helped me find heaps more. Some through this blog, some through online communities (you’re not getting a “Thank You” for that weirdo, Bubbles, though). 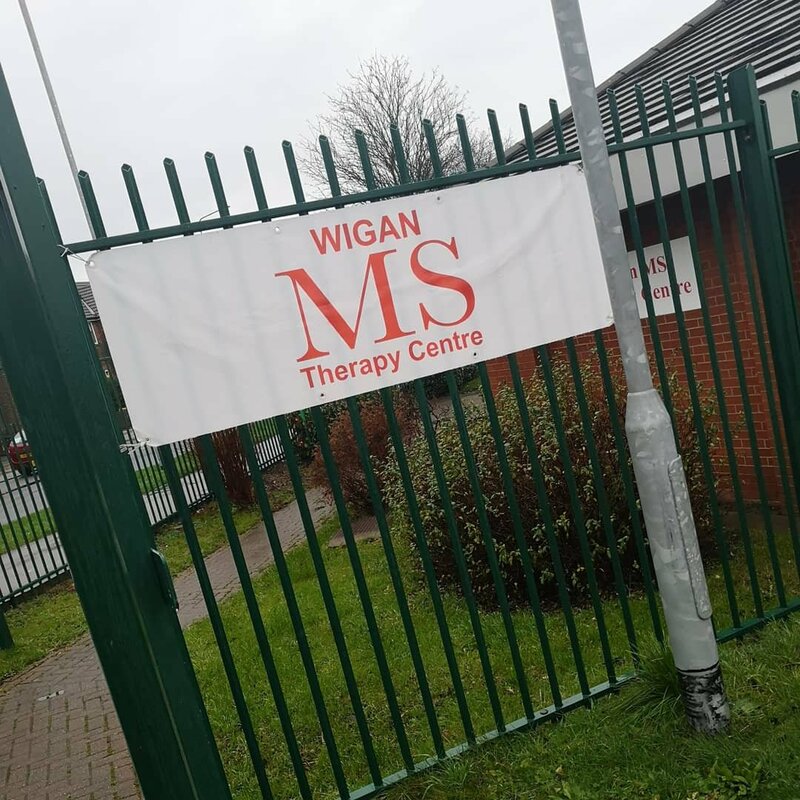 On top of that, I’ve got all my friends down at the MS Therapy Centre. 4. The MS Centre is fast becoming one of my favourite places. It has the most gorgeous people and energy. 5. Because you came along, I went to the Centre, and there I found Nicola and Reiki. If I hadn’t found her and Reiki, I would never have completed my First Degree so that I can give that beautiful therapy to others, and I would never have started attending Red Tent. The women I have met at Red Tent are all amazing Goddesses. They inspire me and I feel so warm and safe in their presence. 6. You have given me so much faith in Dave. I loved him anyway, but you turning up has just proven how right and perfect he is for me. 7. I found faith. Yep. You can’t rob me of it, however hard you try. 8. I put me first. This one is still a little hard but I’m slowly getting better at it every single day. I’ve learned to focus on doing more of what I love, rather than what I think I should be doing to please others. MS, I can’t say that you’re welcome with warm arms, and I don’t think you ever will be. Perhaps if we can find a way for you to go, I can look back on you fondly. Right now, I’m almost ready to co-exist with you and I have a weird kind of respect for you. I’ve not quite accepted you yet, but I’m almost there. In spite of the bad stuff that you bring, you bring a lot of alright stuff too. I’m slowly learning that you didn’t come to me, you came for me. 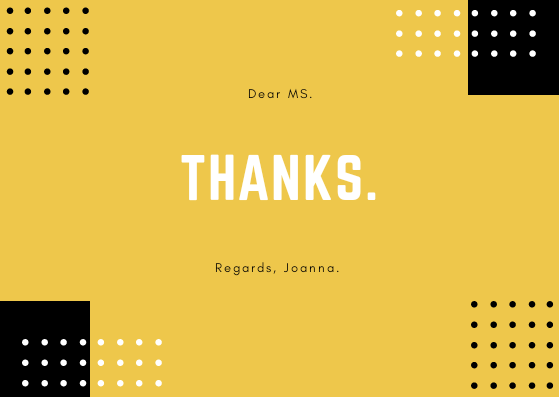 I’m not signing off with “Love Joanna”, (you don’t deserve that) but you can have “Regards”. You may remember me from school! Stumbled across blog and I have enjoyed reading it. My mum was diagnosed with MS at 24 and she will be 60 this year. She’s done so well over the years! Good to hear you have so much support around you. There’s a lot more now then when my mum was our age. Sending you positive thoughts. Of course I remember you 😊 really good to hear your mum is doing well having been diagnosed so long ago. Things like that are so reassuring to hear because it’s always so easy to think of the worst case scenario.